End the frustrations of marketing your small business. Ever feel like you spend more time figuring out the newest internet marketing trends than actually running your business? You need focused effort that gets you the best bang for your buck. And you could really use someone who understands the challenges faced by small businesses (ahem…). But are we a good match? You’re having trouble getting a consistent flow of customers. You know it’s time to beef up your marketing, but you aren’t sure how. And how do you make every dollar count? You’re tired of shooting in the dark hoping for results and stressing over finding customers instead of serving the ones you have. You’ve built a consistent customer base, but it’s put your business well past the DIY stage. You (or one of your employees) handles all the marketing, but it’s time to focus on steering the business. Scaling back doesn’t make sense because you’ve worked too damn hard to get here. But where do you find the time? Either way, it’s time to run your business instead of your business running you. 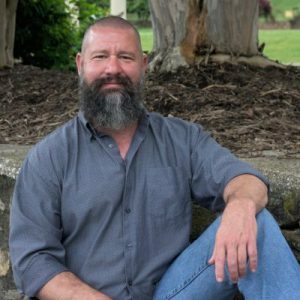 Hi, I’m Stephen Ledford and I help small businesses connect to customers with less stress and without wasting time and money. Keep a steady customer flow so the bills get paid. Stand out from the competition when customers are already bombarded by ads. Balance marketing, running my business, and having enough free time to keep my sanity. Not go broke in the process. After tiring of big marketing agencies telling me you’ve got to spend money (usually thousands up front) to make money, I studied digital marketing. And I grew my client base over 300%. But something else happened. I found most other small business owners had the same frustrations with their marketing. So, I downsized my business and started Webologist. Now I help other small business owners get and keep more customers. And since I’ve been in your shoes, you get service with these promises. We’ll take a partnership approach. Have questions? You’ll get straight answers, ideas, and guidance. Have some feedback for me? I’ll listen. But we’ll succeed best as a team, so I’ll ask for your insights to customers, trends in your business, plus your goals and expectations. Have a deadline? I’ll meet it. Limited marketing time and budget? We’ll work with it. And you’ll get emails answered and phone calls returned within a business day (and usually less). You won’t get left hanging. If you’re like me, you hate when someone tells you they’ll do something and then disappears. Ain’t gonna happen. As a US Army veteran, I get how important reliability, timeliness, teamwork, and a little bit of grit is to the mission. Get simplified internet marketing for your small business, by a small business. Alright, you have the goods on me, but I don’t know much about you. How about we fix that with a freebie? Click the button below to schedule your free 20 minute consultation. I’m all ears. Tell me about your business, challenges, and what kind of help you need. Not sure what you need? We’ll figure it out together. or see the digital marketing services I help small businesses with. P.S.– I’m not always in front of a keyboard. 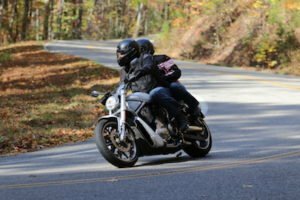 In my downtime, you’ll find me hanging out with family, roaming the woods, or carving curves through the Blue Ridge Mountains.